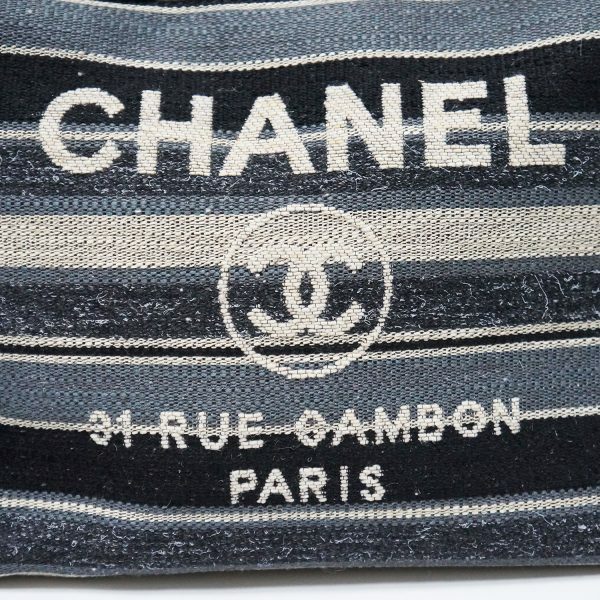 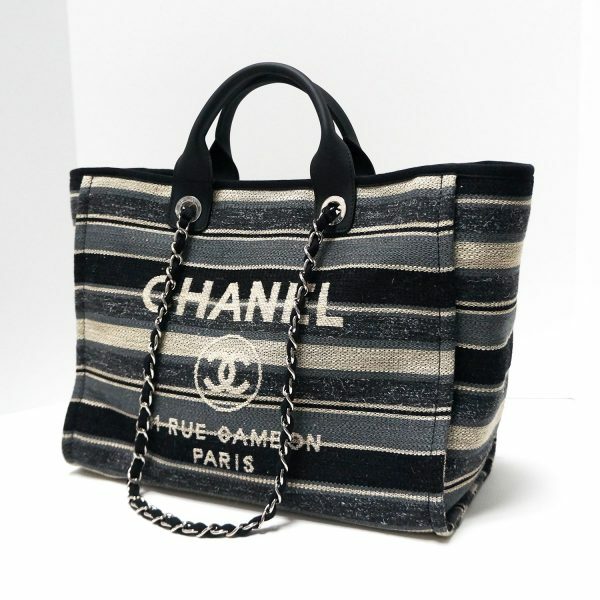 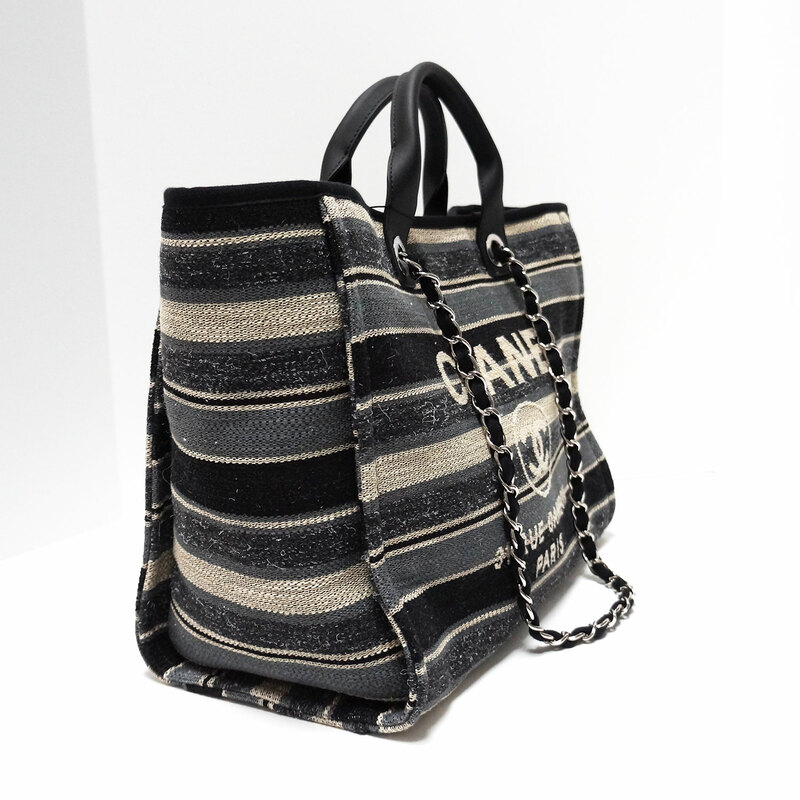 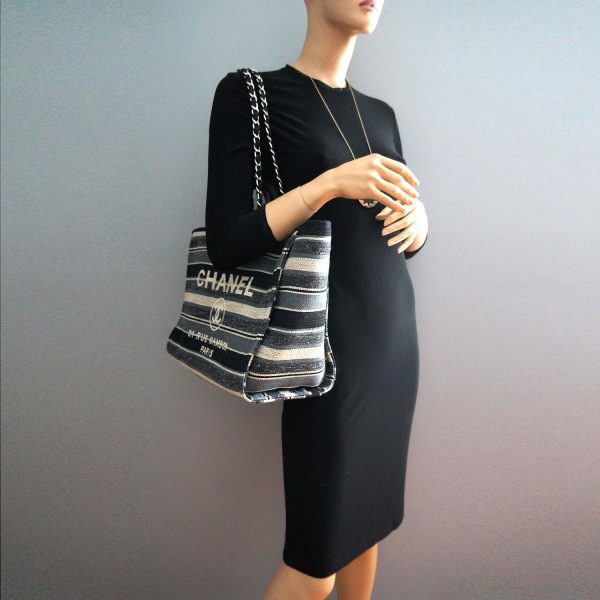 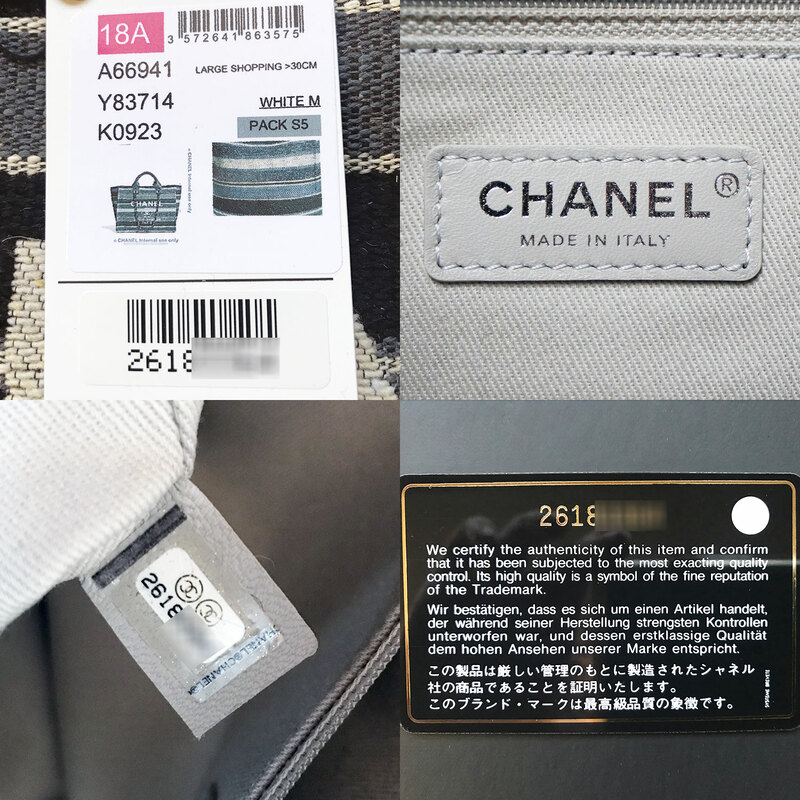 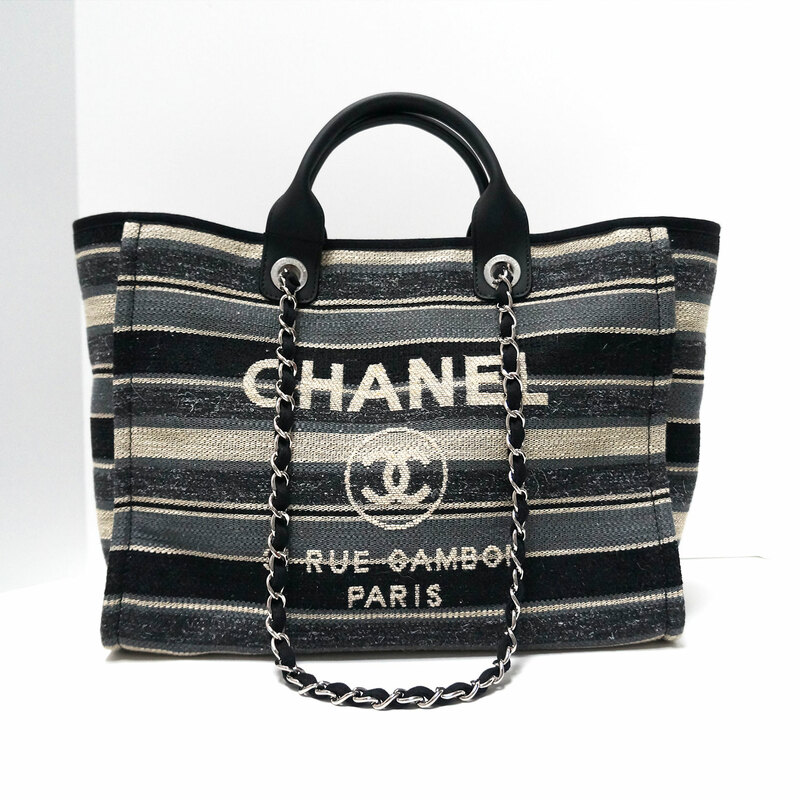 Absolutely stunning CHANEL limited Edition Grande/Large 2018 “Deauville” shopper tote with silver hardware. 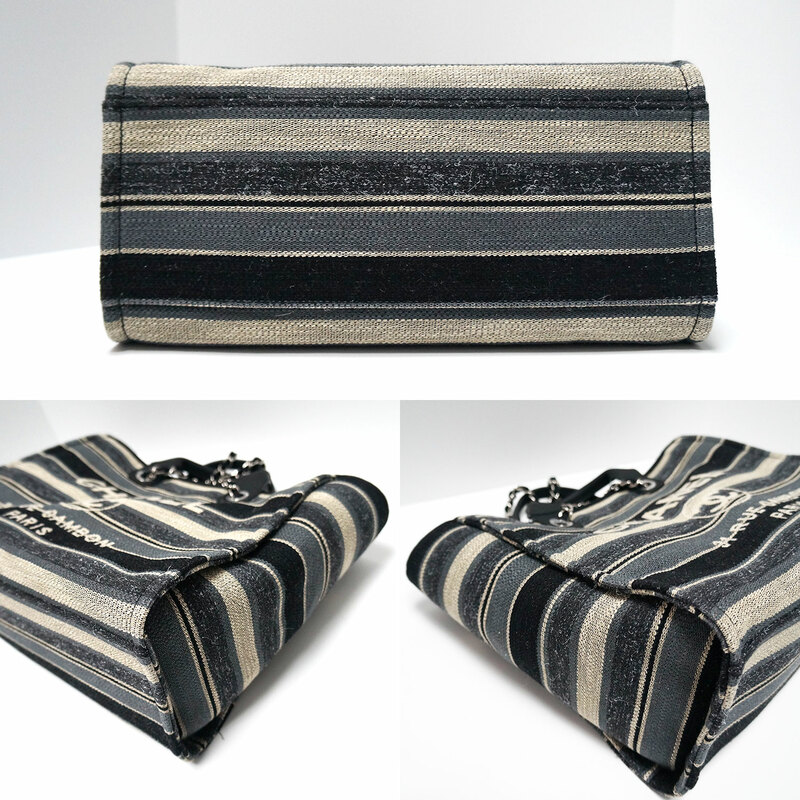 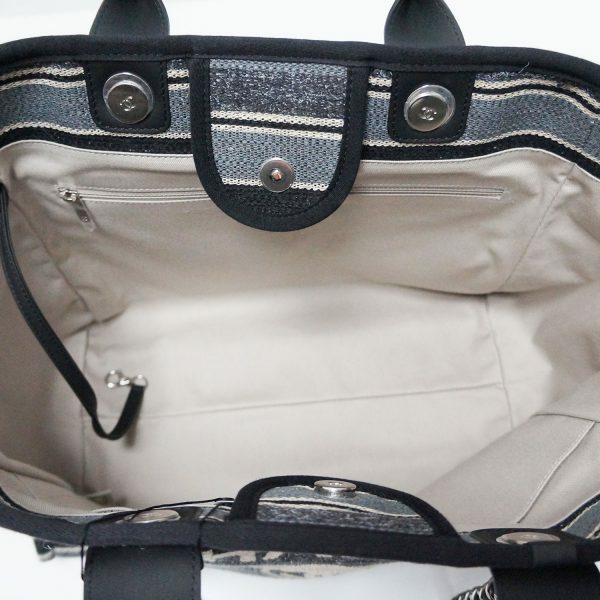 Very roomy and light-weight in a striking black and grey stripe. 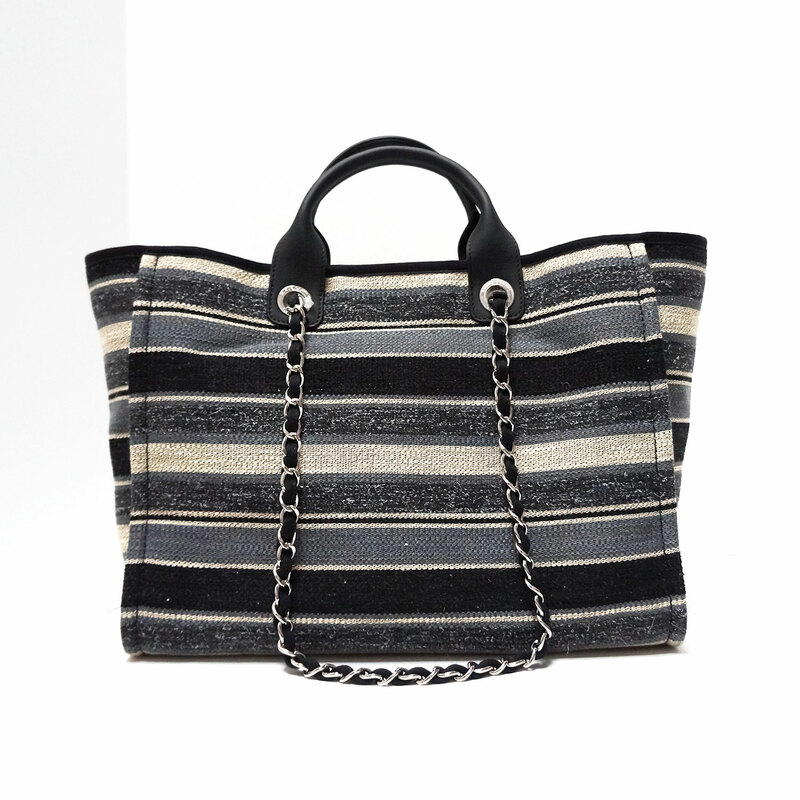 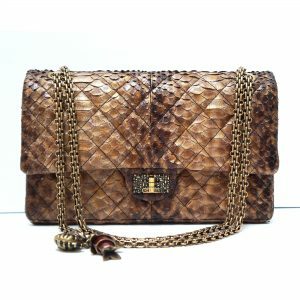 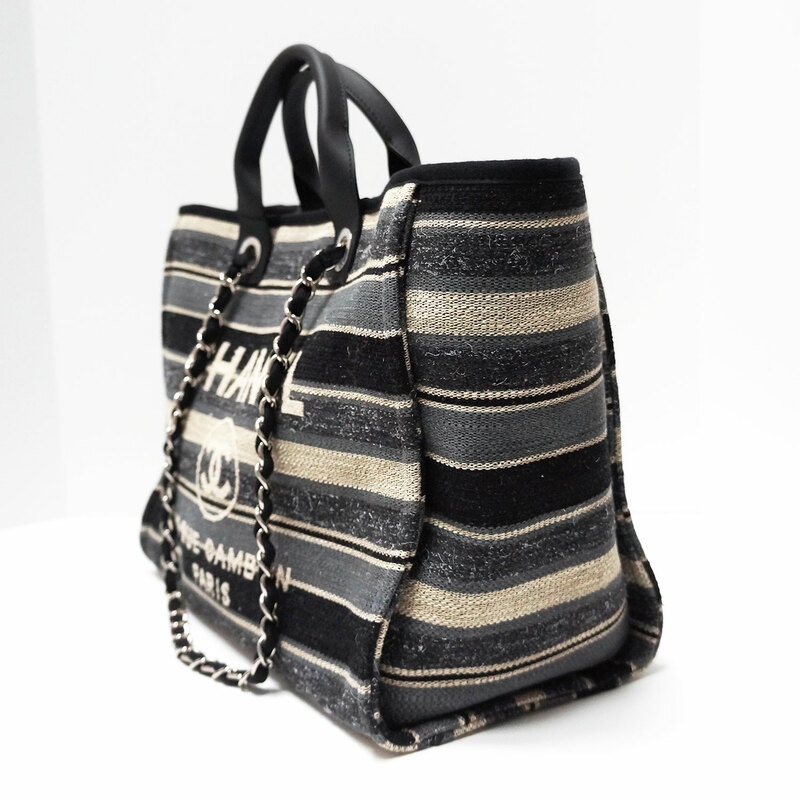 Make a statement with this killer bag! 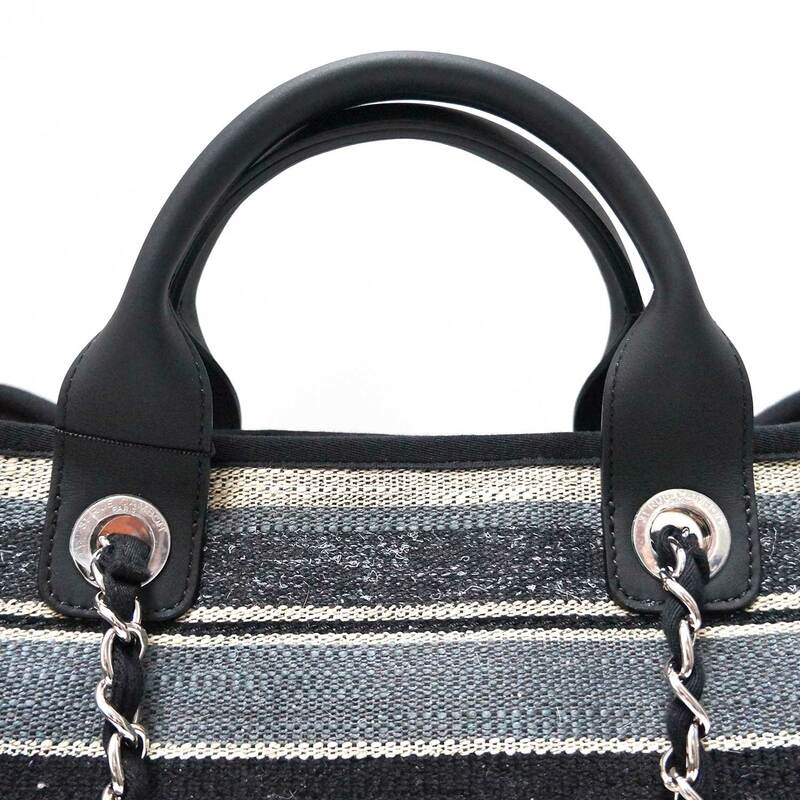 You’ll love toting this one around! 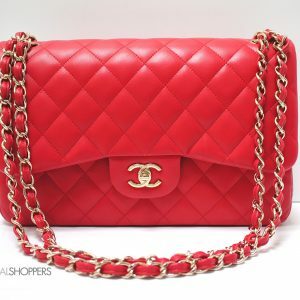 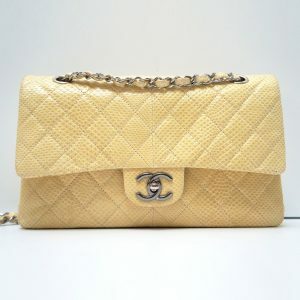 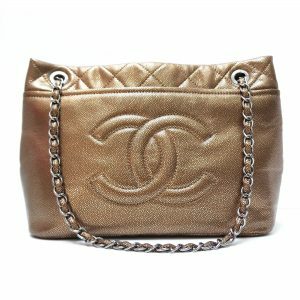 Brand new, comes with original CHANEL box, authenticity card and dust bag. 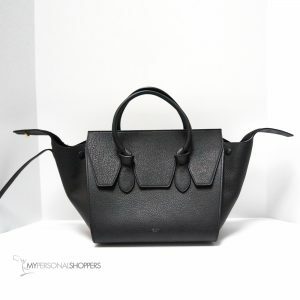 Completely SOLD OUT!